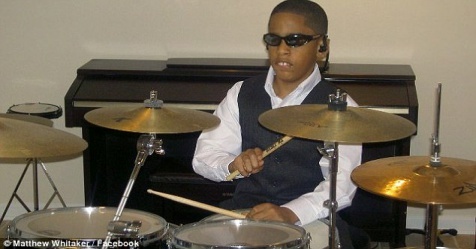 Matthew Whitaker was born without sight, but was drawn from a very young age to the keyboard. He taught himself to play from the age of just three. Today he is 16 years old and has an incredible talent for the piano. In fact he is so remarkable that he is being called the new Stevie Wonder. As a nine-year-old he won a event and when he was 15, his debut album Outta the Box was released to critical acclaim. While he is usually seen on the piano and organ, his skills on the drum are very impressive too. He has even had a chance to open for Stevie Wonder. Matthew was born premature, and weighed just one pound and eleven ounces. Doctors said that he had less than a 50% chance of staying alive. His father say that he always had a positive attitude, even as a child.